intensity of the barrel body with the projection rib. 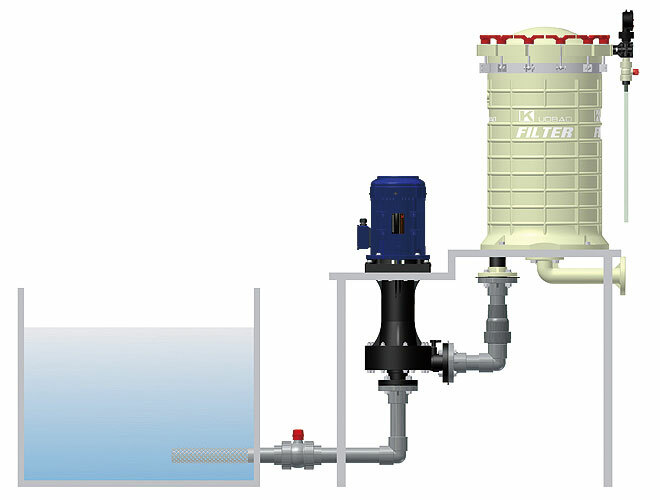 filter body is PP, CPVC, or PVDF. 3. 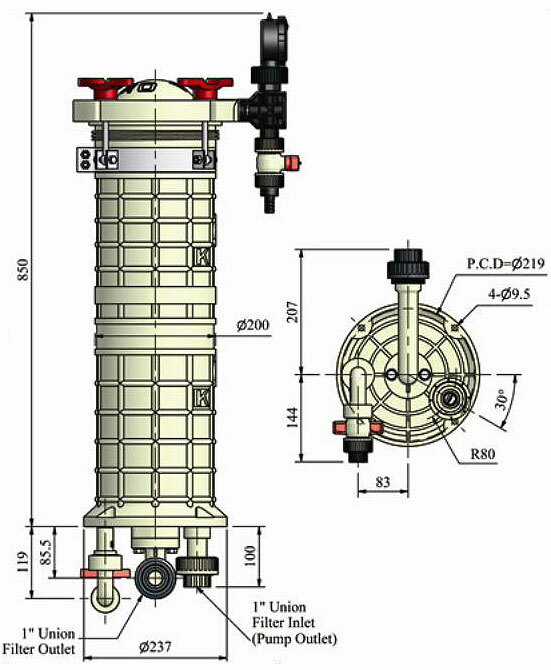 Thanks to the least welds of filter in filter field, it greatly decreases the leakage. 4. 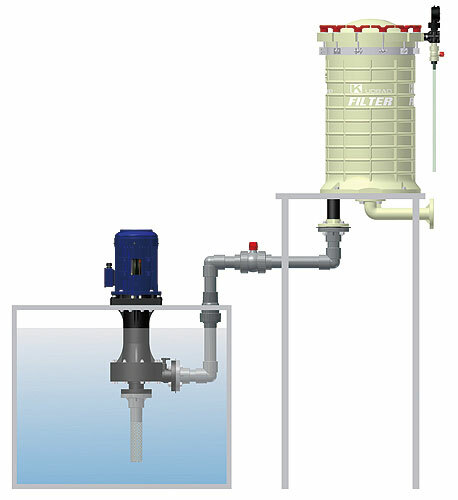 Excellent application to circulated filtering operations for plating liquid, chemical liquid and pure water. core filter, Pressure core filter, Pressure Layered Core Filter, Bag Filter, Paper Filter, and Bellow Filter. 6. Titanium (Ti) clamp set also can be provided as choice. Address: No.20, JingKe S.Rd., Nantun Dist.,Taichung City 408, Taiwan R.O.C. Copyright © KUOBAO All Rights Reserved.